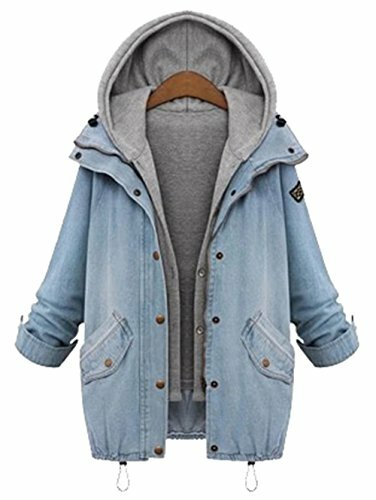 Feature: Plain, Hooded, Casual, Coats, Zipper, Single Breasted, Spring, Autumn, Short, Long Sleeve, Two Piece. Care: Hand wash with cold water. Do not bleach or tumble dry warm. May be fading when washing the denim for the first time, this is nomal,please don't worry. M -- US( 4 ) , L -- US( 10 ), XL -- US ( 14 ), XXL -- US( 16 ), XXXL -- US( 18 ). Please refer to the size measurement below before ordering. If you have any questions about this product by Milumia, contact us by completing and submitting the form below. If you are looking for a specif part number, please include it with your message.